Heading to the shops, park or the beach? Then heres the perfect bag. 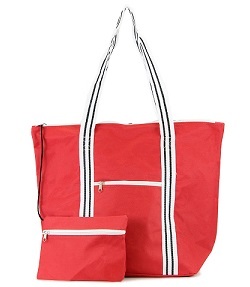 Water resistant inside and out, this bag is large enough to hold, groceries, baby needs, picnic goodies or all those items you need for a day at the beach. Heading to the shops, park or the beach? Then here&apos;s the perfect bag. 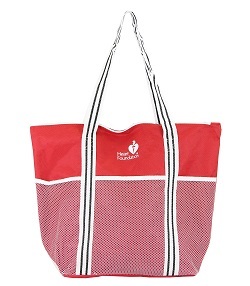 Water resistant inside and out, this bag is large enough to hold, groceries, baby needs, picnic goodies or all those items you need for a day at the beach. 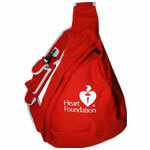 Also includes a tethered purse inside of bag to securely hold your valuables. 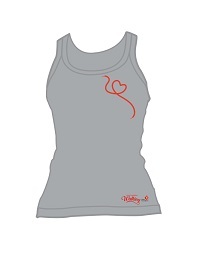 * Made from 600 denier polyester.